This one might be of interest to folks in the UK. An adaptation of Ian R. MacLeod's novella Snodgrass will air on Sky Arts today as part of their Playhouse series. 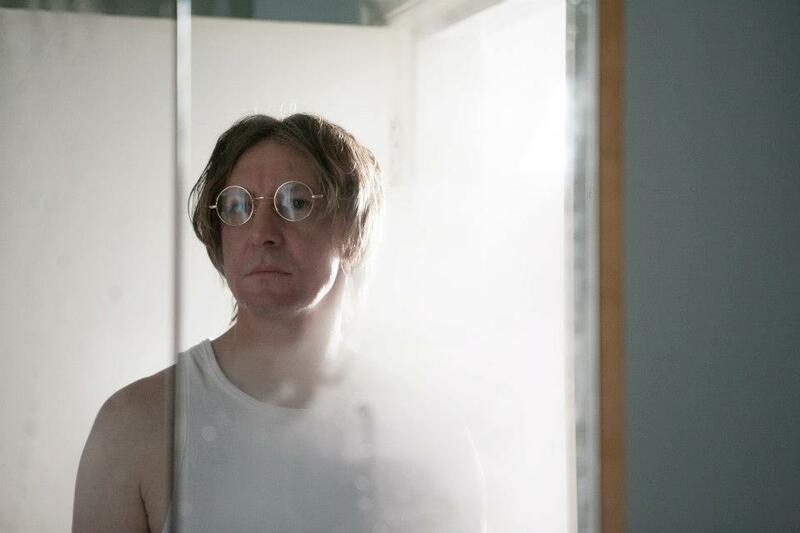 Snodgrass is an alternate-history retelling of John Lennon's life. A 50 year old John Lennon (played by Ian Hart) sits in a dingy kitchen, smoking a roll up, unemployed and on his uppers. This is the John Lennon who walked out on the Beatles in 1962, before the hits, before they changed music for ever. A hilarious comedy drama which also stars Kevin Doyle and Eric McNichol. 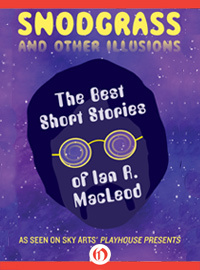 To coincide with the broadcast Open Road Media are publishing an anthology of Ian R. Macleod's short stories titled Snodgrass and Other Illusions. With “Snodgrass” as its anchor, this collection of eleven stories also includes “The Chop Girl,” inspired by the infamous Dresden bombing raids; “Past Magic,” a futuristic account of parents cloning their children who have passed away; “New Light on the Drake Equation,” inspired by a man’s journey as he searches for signs of extraterrestrial intelligence; and seven more tales that showcase MacLeod’s breadth as a writer. The ebook should be available from all good ebook retailers. The Last Bookshop is a short film depicting a bibliophile's worst nightmare. I love the acting, the story and the ideas behind it. It really is brilliantly done and makes you think of where books are headed in the age where people are so easily distracted by the bells and whistles of multimedia. I just hope it's not a future we'll ever have to experience. I love physical books far too much and it would completely break my heart. The girl who wouldn’t die. Hunting a killer who shouldn’t exist. Chicago 1931. Violent drifter Harper Curtis stumbles upon a house that hides a secret as shocking as his own twisted nature: it opens onto other times. Harper uses it to stalk his ‘shining girls’ across decades – and cut the fire out of them. He’s the perfect killer. Unstoppable. Untraceable. Until one of his victims survives and turns the hunt around. 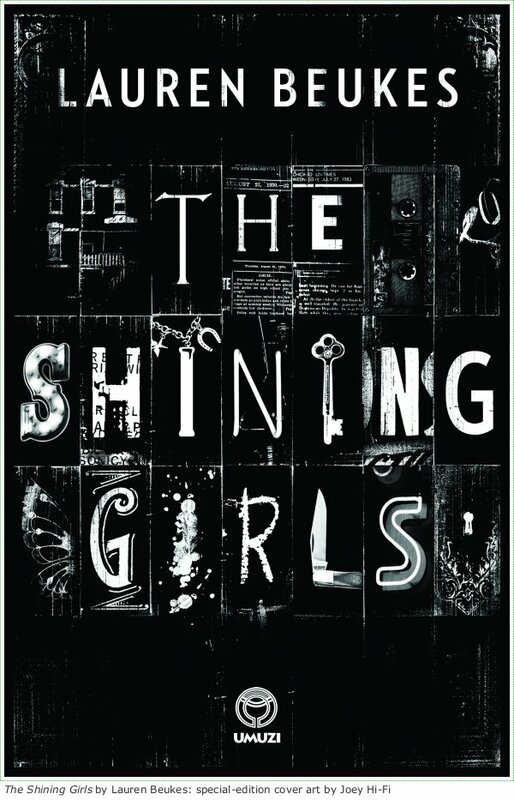 It’s not often that I come across a book that I just can’t put down, clichéd as it might sound The Shining Girls by Lauren Beukes is one of those novels that demands to be read in one sitting. It’s a fantastically creepy story with a compelling narrative that binds you as the story unfolds in twist and turns that mess with your mind and leaves you slightly baffled, craving to make sense of what’s happening and revelling in elation as, by the end, everything just slots into place. Set in Chicago the story is told from the perspectives of different characters. You get to experience the world through the eyes of the serial killer, Harper Curtis, through his victims as he visits them in childhood and returns years later to take their life and finally from the perspective of the lone survivor, Kirby, as she tries to bring him to justice. Told in a nonlinear way the jumps through time can be jarring at first, but as you become more familiar with the mechanics at work it soon becomes a natural extension of the story. Beukes deftly handles these time shifts and manages to capture the essence of each time period, incorporating some historic titbits that really brings the world to life and adds authenticity. I loved the character of Kirby. She comes across as an outsider, set apart by the horrendous ordeal she suffered at the hands of Harper and the scars, both emotional and physical, he inflicted on her. Even as a little girl she has this stoic bravery which carries through to her adulthood. Instead of being broken by the horrible experience she emerges stronger devoting her life to pursuing her attacker even when everyone else has given up hope of ever finding him. Through sheer determination she uncovers the shocking truth that might finally give her the closure she so desperately needs. As much as I liked Kirby I must admit that Harper Curtis completely steals the show. He is a chilling psychopath who kills without remorse and enjoys every moment of agony he inflicts on his victims. “Then he sets the lighter against her eye socket and digs the hard edge in against her broken cheekbone. Black spots bloom in her head, pain arching through her jaw, down her spine. He pulls up her T-Shirt, exposing her skin, winter-pale. He drags his hand across her stomach, his fingertips digging into her skin, clutching, greedy, leaving bruises. Then he punches the knife into her abdominal wall and twists and pulls it across in a jagged cut, following the trajectory of his hand. She bucks up against him, screaming into the ball. It’s eerie how well Beukes manages to portray the mind of a serial killer, how he escalates in violence and how his killing ritual develops. You almost feel tainted each time you experience things from his perspective – a sure sign of brilliantly engaging writing. The ending is worthy of anything Stephen King can come up with. It’s satisfying, gives closure but also brings things full circle in the most unexpected way. Throughout the story you are never spoon-fed any answers. How did the time travelling work? What made the girls shine? You are left to draw your own conclusions and I found myself haunted by the implications for days afterward. 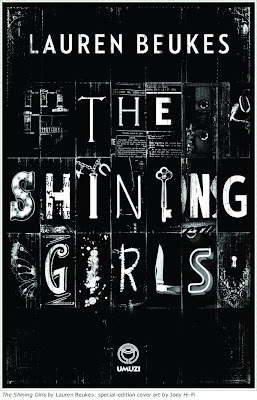 The Shining Girls is difficult to shove into any specific genre box. It’s a brilliant mix between thriller and horror with a dash of time travel thrown in. It’s a fantastically creepy, mind-bending read that grabs you and just doesn’t let go until the very last page. Even then the story will haunt you for days afterward. Lauren Beukes is at the top of her game; even if you didn’t like any of her previous work this is most definitely worth the effort. Highly recommended! And in case you missed it. Here's the creeptastic trailer for the book. It's been ages since I did a book haul post with this many books. Having had a birthday in March I decided to spoil myself (as one tends to do) and ordered from a couple of different sources. As luck would have it all the books arrived on the same day flooding me with packages. There's nothing quite like the excitement and anticipation of tearing into a package to see what wonders it holds. I think that's one of the things that still make me prefer physical books over ebooks. 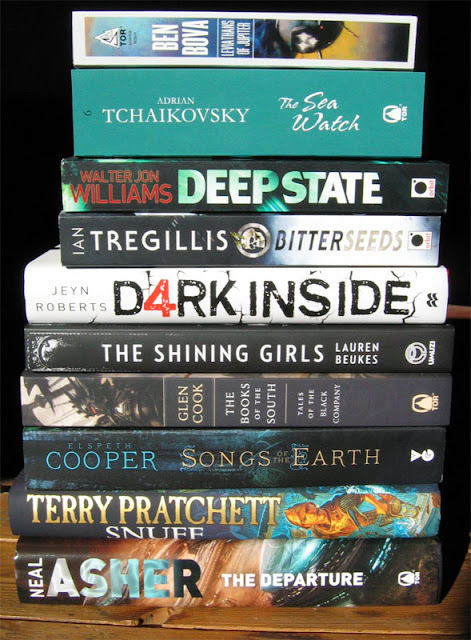 Most of these are books from series I've read or are planning to read and the prices for the hardcovers of Snuff and The Departure were just too good to pass up. 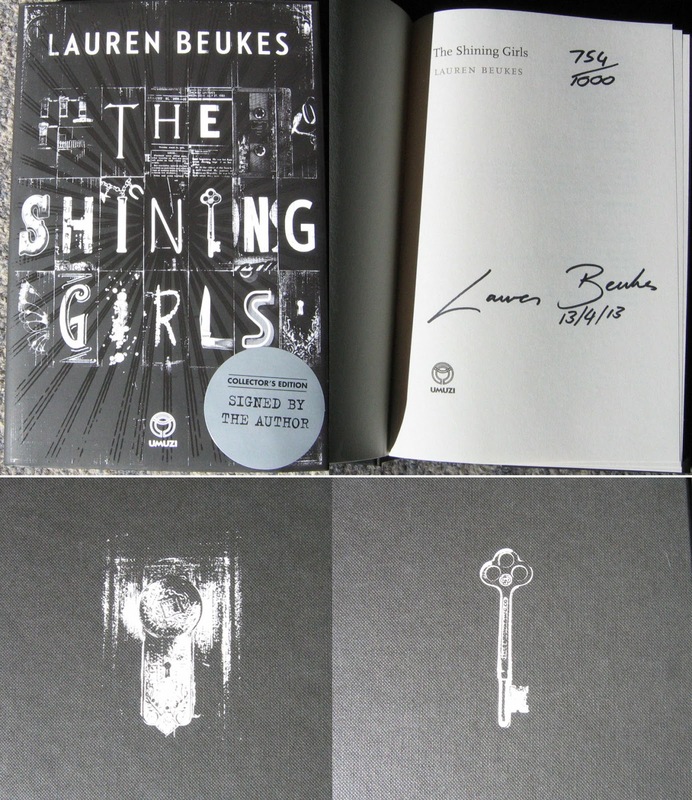 The limited edition of The Shining Girls by Lauren Beukes deserves a photo of its own. It's a gorgeous book with a stunning cover and finishes that slot in perfectly with the story itself. I'm very glad I opted for this over the standard edition. 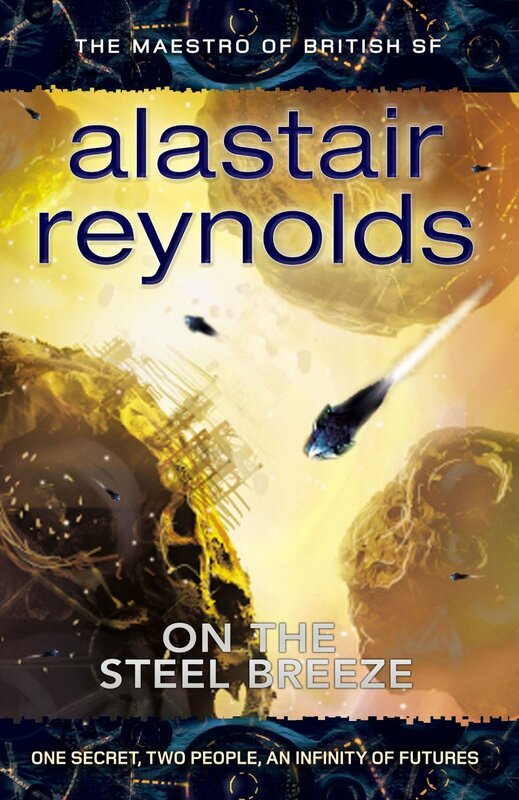 The story is great too; I finished it in one sitting, but so far I haven't found the words to do it justice in a review. 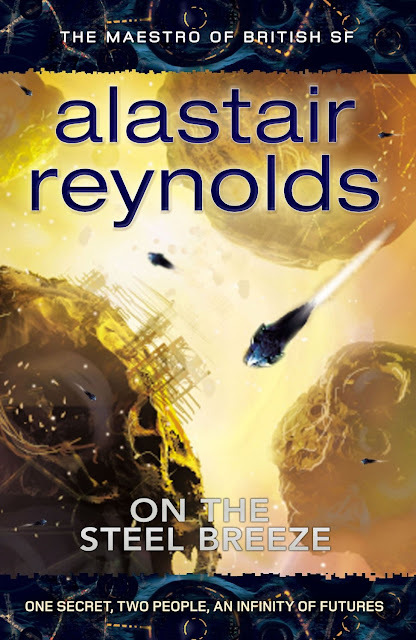 I'm slightly late to the party, but the cover for On the Steel Breeze, the second novel in the Poseidon's Children series by Alastair Reynolds has recently made its appearance. I thoroughly enjoyed Blue Remembered Earth so I'm really looking forward to this one. On the Steel Breeze will be released on the 15th of August 2013. During the last half of last year I started hearing rumors that Reader's Warehouse were planning to launch an online store of their own. Being stuck in the middle of nowhere, with the nearest branch nearly 400km away this was great news. Finally I could also get my hands on books at the unbelievable prices everyone were raving about. The tentative launch was set for somewhere in November 2012. November came and went and no site materialised. The launch date kept being pushed back month after month (I'm sure my monthly tweets nagging them about it didn't help). But the day has finally come! The Reader's Warehouse online store has finally been launched and it looks great. I had the chance to give their site a test run last night and I'm quite impressed. The site has a nice layout and while the selection is quite limited at this stage the prices are very good. I chatted with Sean from their customer support and it seems that they currently have roughly 3900 titles currently available. More titles will be added as all the kinks are worked out and the site will eventually have over 44000 when all the store stock is listed, with plans of adding ebooks sometime in the future. As with any online store the proof is in the pricing and using the 3 titles I decided to get as a benchmark I did some comparison shopping at the other major South African book sites. As can be clearly seen from this Reader's Warehouse comes out much, much cheaper than any of the other sites. 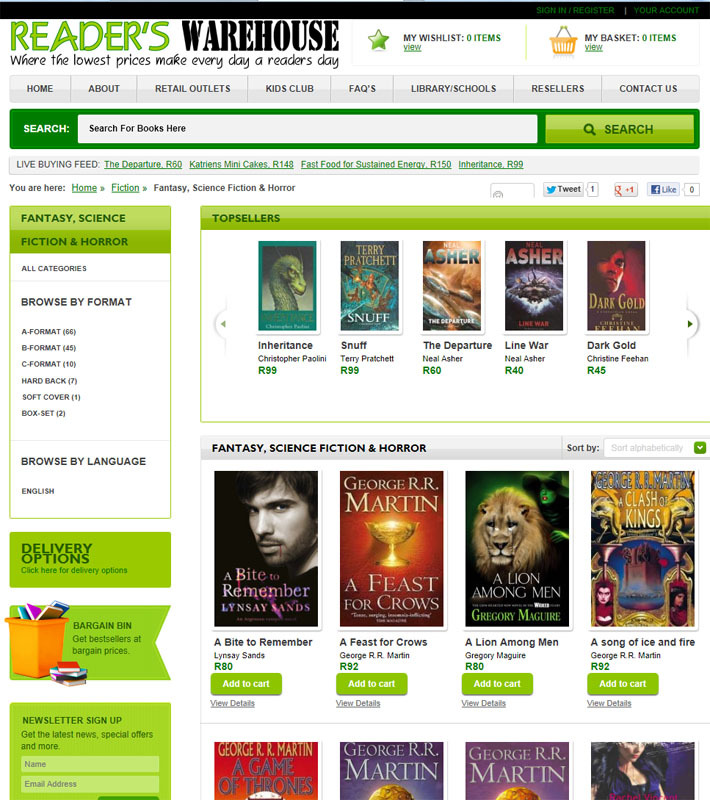 Of course this will vary according to the titles you order, but it's a huge step in making books more affordable. My order has already been shipped so they get an A+ for service. Once the package arrives I'll report back, but I'm definitely impressed with the level of service I've received. Reader's Warehouse seems set to give the more established sites a serious run for their money. Bibliophiles in remote locations rejoice! My package arrived today, just 2 business days after placing my order and selecting Post Office delivery. Each book came individually wrapped in bubble-wrap offering more than adequate protection while en-route. I'm extremely happy with my order and I'll definitely be ordering from Reader's Warehouse again.